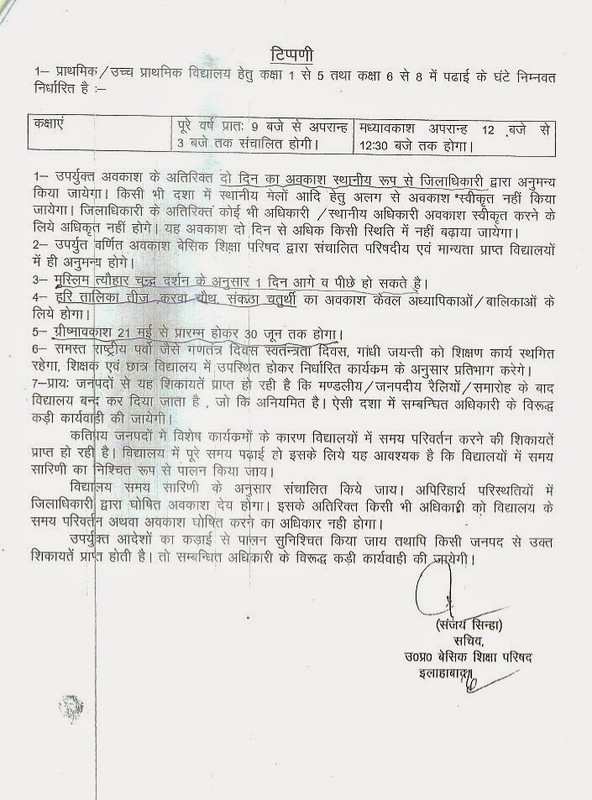 Basic Shiksha parishad / basic education Department / State government of Uttar pradesh, published the notification regarding official holidays for primary School , Junior School , Upper Primary school , and school affiliated to basic Shiksha Parishad. 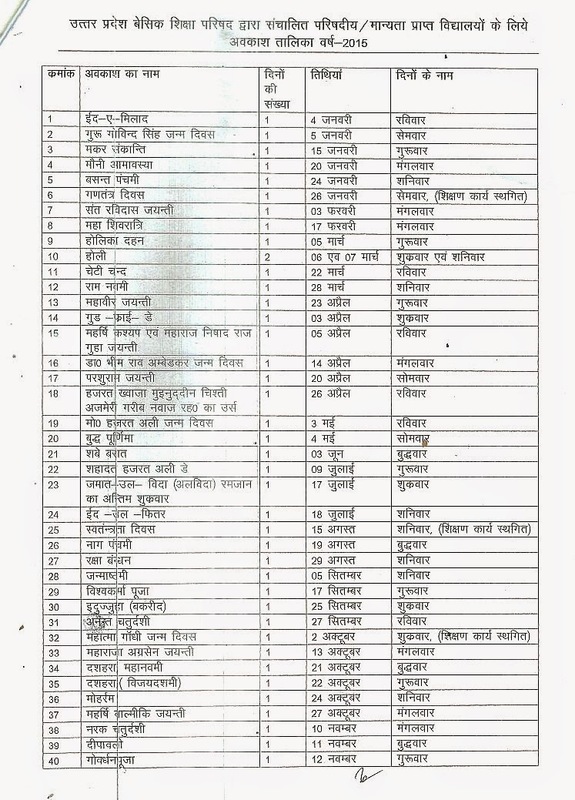 Mexam.IN brought latest official calendar and lists of official holidays issued by Basic shiksha parishad. All school will get printed version of holiday very soon in there schools but you can also check it here. Time Duration for Prathmik Vidyalaya from class 1 to class 5th and Uccha Prathmik Vidyalaya from class 6th to class 8th will be as are follows . 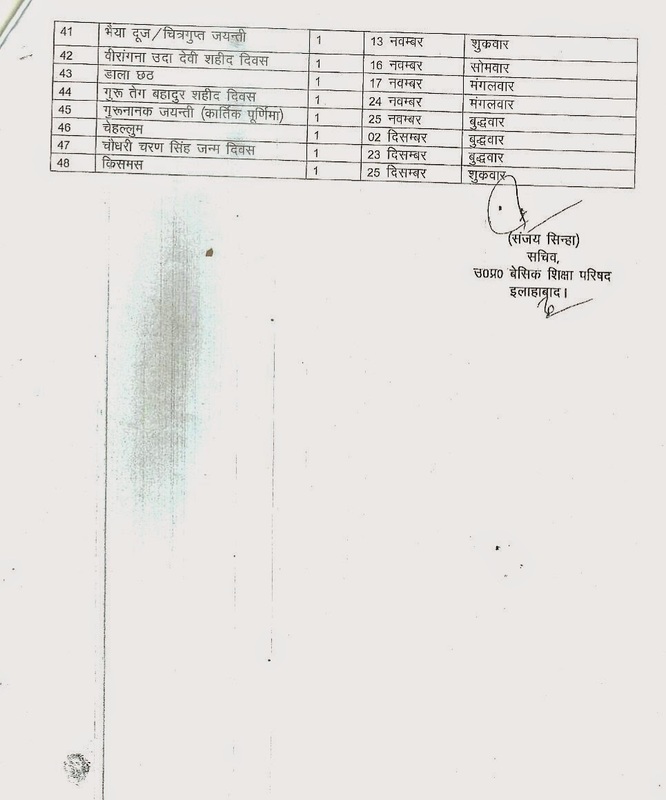 Hari Talika TEEJ, karva Chauth, Sankatha Chaturthi, holiday will be only permissible to Female teacher and girls only . All national festival like independence date Gandhi jayanti , republic day will be celebrated and school will be open but no educational work be done. Only cultural activity will be held.